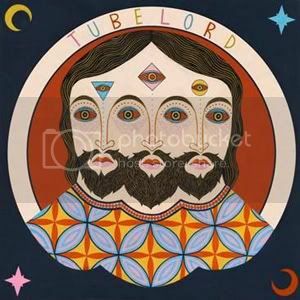 Kingston-upon-Thames four-Piece Tubelord are an interesting bunch. They’ve self-described their music is “pop songs for rock kids”, but given its complexity (a complexity which never lapses into self-indulgence), that statement often seems far too glib. Their debut full length ‘Our First American Friends’ (released on the independent label Hassle Records in 2009) owed a debt to Mansun – in particularly their ambitious second album, ‘Six’ – with its combination of indie jangle, adventurous time signatures, occasional electronic leanings, oblique song writing and great harmonies. For this follow up EP, Tubelord enlisted the help of legendary producer Steve Albini and relocated to Berlin. The opening number, at first, features sparse acoustic work coupled with a razor thin vocal (both courtesy of Joseph Prendergast) accompanied by bass drum. Once the whole band kicks in, harmony vocals really flesh things out. David Catmur’s drum part gets busier (more than a shuffle, not quite a full blown rock approach) and the acoustics get increasingly sharper. An okay number, but not quite the Tubelord you could have been expecting… Could it be they’ve scaled down their approach and gone for something a bit more user-friendly? I’m pleased to say the answer to that question is a resounding no! If anything, on this EP, Tubelord have expanded their repertoire of influences and styles. The second track, ‘Ratchet’, is absolutely superb. Combining ringing bell keyboards and washes of darkwave synths (of which Gary Numan would be most proud) and a gorgeous harmony vocal, there’s something here which instantly pulls the in the listener. The between verse drum parts take on a more urgent rhythm, but still fit well. Following an unexpected trumpet break and quiet interlude, the band returned to the previously used musical themes, this time with trumpet accompaniment. ‘Bazel’ is the most aggressive number and undoubtedly the one which most resembles material from Tubelord’s full-length album. Driven by by Catmur’s busy drum arrangement and featuring a sound which finds itself between Coheed & Cambria and mid-period Mansun, if you came looking for Tubelord at their most uncompromising, you’ll enjoy this. The vocal is fairly high pitched and occasionally unsettling (particularly during the second half which utilises two or three different voices singing different lines against each other), the guitar work is sharp and the bass rumbles inconspicuously. Frankly, if anyone tries to tell you that Muse and Matt Bellamy’s tuneless untrained wailing represent the best progressive music of the early 21st Century, point them in the direction of Tubelord. A demo recorded during the Albini sessions (and included as part of the download version of this release), ‘De2’ employs a Tool-esque drum part, punctuated with rhythm guitars. At under two minutes, it sounds a little abrupt. Maybe there was meant to be more, maybe not. Even though it’s not as essential as ‘Ratchet’ or ‘Bazel’, that drum part is great. A couple of the songs here are better than anything from Tubelord’s previous work. Although only a stop-gap, naturally, it’s short length leaves me wanting to hear so much more…if you’re someone who understands Tubelord’s combination of art-school indie rock and prog, you’ll likely feel the same way. Although only an EP, ‘Tezcatlipōca’ is a gem; one of 2010’s recommended listens. Kevin Chalfant is no stranger to the AOR community. He first came to prominence with the band 707, contributing vocals to their classic third album ‘Megaforce’. His vocal similarities to Journey’s Steve Perry later bought him to the attention of Josh Ramos, who invited him to be the vocalist in his band The Storm (featuring sometime Journey men Ross Valory, Steve Smith and Gregg Rolie – who by coincidence had also been a member of 707). Chalfant cut two albums with The Storm, before landing the job as Steve Perry’s replacement in Journey. The Journey job was only temporary, as Perry decided to return (at least for the time being). At the beginning of the 21st Century, Kevin Chalfant re-united with Ramos, releasing two albums under the band name Two Fires. 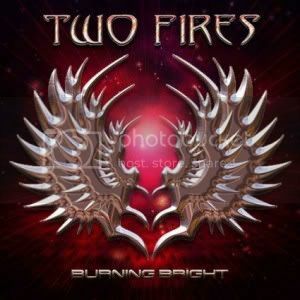 Both albums were met with acclaim from the melodic rock press, but by 2004 Two Fires had called it a day. The ever restless Chalfant formed another band – Shadows Fade – with whom he recorded one album, before briefly becoming the vocalist with AOR legends Shooting Star. He also found time to record two solo albums in the middle part of the decade – one containing hymns and gospels, while the other (playing to his strengths and to the demands of his audience) was a Journey covers album. At the end of a fragmented – but invariably busy – decade, Chalfant resurrected the name Two Fires, this time without the help of his previous musical partner Josh Ramos. The resulting album, ‘Burning Bright’, features a collection of songs which attempt to re-create the magic of the previous Two Fires releases. The opening track, ‘Is It Any Wonder’ sounds a little strange at first, in that there’s something about the production which makes Kevin Chalfant’s vocal sound a bit squishy. Also, instead of soaring guitars and an unavoidable Journey influence, it’s slightly punchier – though not in an especially good way. Michael Gardner’s guitar work is very choppy and rhythmic in a style which recalls Josh Ramos’s playing on ‘I See Red’ from the previous Two Fires album, ‘Ignition’. In fact, the track’s only truly high point is a stupidly overblown guitar solo, played by guest musician Super Rex Carroll. It gets better after a few plays, especially once the chorus has had time to set in – but I’m unconvinced that ‘Is It Any Wonder’ is a winner. ‘Lost In the Song’ is better – Gardner’s guitar work still favours a rhythmic, almost mechanical edge, but there are more hallmarks of traditional melodic rock on show here. The featured solos are solid and the chorus is very strong, despite Chalfant over-singing a tad (sadly, his over-singing eventually works towards the album’s detriment, particularly on the ballads). The album’s first power ballad ‘Some Things Are Better Left Unsaid’ opens with a pleasing guitar lead from Gardner, before descending into a predictable trudge through something which you’ll find done much better on any of your Survivor albums. Gardner’s guitar leads remain decent throughout this number, but his good work is spoilt by Chalfant – who, not content with delivering a shameless Steve Perry impersonation, insists on over-singing nearly every note. In an attempt to impress, he squeezes every drop of emotion from each line, only damaging his performance in the process. And while I’m here, what’s with that drum sound?! The drums sound like they were recorded in a corridor. The opening riff of the title track gives the impression that it will be one of the album’s heavier numbers. However, once everything kicks in, it becomes clear the heavy vibe was caused by the collision of a muddy guitar tone and slightly muddy production. As it turns out, the song is a fine piece of melodic rock with excellent playing and a well arranged vocal – particularly on the chorus. ‘Still In Love’ is a respectable soft rocker featuring a simple arrangement, based largely around acoustic rhythm guitar and electric piano for the first verse, before going full electric for the chorus and beyond. There’s nothing particularly striking about it, but strangely that’s where its strength lies. A thoughtful harmony backs one of Chalfont’s most understated vocal lines. ‘Follow Your Dream’ features another great harmony-filled arrangement, a great guitar solo, pretty much great everything…and by the end I found myself wondering why the rest of ‘Burning Bright’ couldn’t have been this good. There’s a really feel-good factor running through the track which seems to be lacking on some of the other songs. It comes a little late in the proceedings, but it certainly goes a long way towards making ‘Burning Bright’ a better album. In terms of melodic rock pushing all the right buttons, ‘Answer My Prayer’ is another high point. On this mid-paced stomper, Kevin Chalfant keeps his vocal line this side of tasteful. He’s accompanied on a good chorus by well-placed backing vocals – the kind you hope for with all great AOR (there’s no big key change for the last chorus though, so a proper missed opportunity there! ); the drums, once again, are a little wimpy sounding, but that doesn’t spoil an otherwise enjoyable number. I’d be lying if I said it was as good as ‘Follow Your Dream’, but there are more than enough great elements to for it to pass muster. This third album from Two Fires has its moments (‘Follow Your Dream’ and ‘Answer My Prayer’, mainly), but it has a few numbers which leave me feeling indifferent. it’s certainly not up there with Chalfant’s classic work (step forward The Storm’s ‘Eye of the Storm’). Although the second half of this album is far stronger than the first, I’d be hard pushed to say that this release is one of the best AOR albums released in 2010 – that honour would go to Terry Brock’s ‘Diamond Blue’. While Robert Plant’s best recordings with Led Zeppelin remains his definitive work for many, his solo catalogue is full of wonder. He doesn’t always rely on Zeppelin-isms, but then, he shouldn’t have to. He did that first time around and spawned a world of imitators. In fact, some of his best solo work is represented by a couple of his 80s “pop” releases – 1987’s ‘Now & Zen’ being particularly wondrous. That album’s shiny pop-rock slant was almost the anti-Zeppelin, featuring a very forward-looking Plant. For 2005’s release ‘The Mighty Re-arranger’, Plant completely reverted to type; that album was the most Zeppelin-esque album anyone had released since that bands demise. It was as if Plant had taken stock of the huge influence his former band had on so many, looked around at the hundreds of Zeppelin sounding bands that had sprung up in their wake and realised he had the potential to do that better than anyone else. Fantastic as it was, I still preferred the 80s adult pop/rock Plant had explored previously. In 2007, Plant’s career took an interesting turn. He teamed up with award winning country singer Alison Krauss. The resulting album, the warm and introspective ‘Raising Sand’ was critically applauded and undoubtedly bought Plant a new audience. 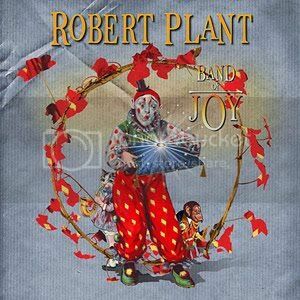 His 2010 release, ‘Band of Joy’ (named after Robert Plant and John Bonham’s pre-Zeppelin band) explores roots and Americana styles further. Firstly, ‘Band of Joy’ is a Robert Plant solo disc in name only. Plant has named his new backing band in honour of that old band from the Midlands, though the members themselves hail from much farther afield. For the new Band of Joy, Plant has enlisted some heavyweight roots musicians: vocalist and guitarist Buddy Miller has previously worked with country-folk legend Steve Earle and Shawn Colvin; multi-instrumentalist Darrell Scott (who contributes most of the more traditional roots instruments here) is best known for his collaborations with Emmylou Harris and Steve Earle, while second vocalist/guitarist Patty Griffin is a star in her own right, having released several albums of her self-penned blues and folk music. The famous members of the Band of Joy are augmented by Byron House on bass and Marco Giovano on percussion, giving Plant one of the best bands he could hope for with regard to this album’s chosen musical style. Of the album’s twelve songs, only one is written by Plant, although he is credited as having helped arrange the album’s three traditional cuts, the best of which is a dark and spooky rendition of ‘Satan Your Kingdom Must Come Down’, which is sparsely arrangened. Plant’s aching vocal set against Scott’s banjo and Miller’s echoing guitar work (underpinned by occasional bass drum stomps) calls to mind the work of Duluth, Minnesota minimalists Low. And by no coincidence, Plant covers two of that band’s songs here, singing each one in duet with Patty Griffin. Stretching out just beyond six minutes, ‘Silver Rider’ (like the Low original) has a dark spirit, but never becomes dreary, slowly pulling in the listener in with its darkness. Robert’s hushed tones are full of longing, but it’s the heavily reverbed guitar and Griffin’s whispered harmony vocal which truly captures the feeling of the original – and Low, generally. ‘Monkey’ makes a strong feature of similar instrumentation and vocal styles, but is played much faster, anchored down by Marco Giovano’s drum and percussion work. If you enjoy both these covers but have never heard Low before, you should make checking out some of their work a priority. They’re certainly reason enough to get excited about this release. Featuring one of Plant’s strongest vocals within this set, a cover of Townes Van Zandt’s ‘Harm’s Swift Way’ features a great harmony vocal from Griffin, while being a decent rhythm based guitar showcase for both Miller and Griffin. The band sounds like a really coherent unit, as opposed to a bunch of musicians hired to back Plant, and here Plant sounds especially comfortable in his reinvented 21st Century Americana guise. A moody rendition of ‘House of Cards’ (a Richard Thompson composition, featured on the Richard & Linda Thompson album ‘First Light’) is equally well accomplished with Plant and Griffin tackling the lengendary couple’s work with ease. Even Miller’s guitar solo is a close enough approximation to Thompson’s distinctive and angular style to be a fitting tribute. A change in pace comes courtesy of ‘You Can’t Buy My Love’, which contains more than a little rock ‘n’ roll spirit; Marco Giovano gets an opportunity to play something a little busier and the whole band are clearly having fun. This is Byron House’s time to really shine though – his bassline wanders all over the chorus; his playing style is upfront and very confident. The album’s only original composition, ‘Central Two-O-Nine’ (a co-write between Robert Plant and Buddy Miller) is essentially a banjo led blues workout, which blends seamlessly with the traditional cuts from the album. While Plant’s vocal is strong (albeit in an understated way, since the roots music Plant has made his forte here requires none of the overblown rock edges which made him famous), it’s Buddy Miller’s instrumentation which captivates. His plucked banjo leads the way, augmented by an unobtrusive bass and fairly minimal drumming (consisting of bass drum and brushes). ‘Angel Dance’ melds the album’s rootsy elements with a slighty more hard rock punch, making it the album’s only offering which nods to Robert’s past. Not that it’s really hard rock, of course – it’s just the guitars are a fair bit fuzzier and with a mandolin thrown over the loose groove, it’s hard not to think of Zep…just a little. ‘Band of Joy’ is a more than worthy follow-up to ‘Raising Sand’ (although takes a little longer to really get into) and by the time you’ve spent a while with it, it becomes nothing short of fantastic. Those looking for Plant’s rock styles may find themselves a little disappointed, but for the more open-minded listeners who’ve embraced his interest in exploring new territory, ‘Band of Joy’ will provide a huge amount of enjoyment. 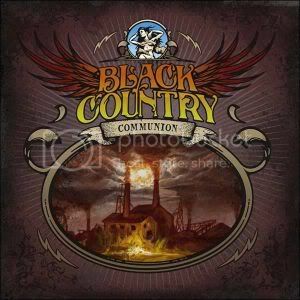 Named after the part of the Midlands where two of the band members grew up, Black Country Communion is a supergroup featuring Glenn Hughes, one time Dream Theater keyboard player Derek Sherinian, blues prodigy Joe Bonamassa and Jason Bonham. As an admirer of all the band members, in theory, I thought Black Country Communion seemed like a great idea. In reality, things could have turned out better. By the end of the album, BCC have had a good stab at fulfilling their potential (even if the end results aren’t as classic as they could have been), but there are moments at the beginning where it feels like that potential might never be realised. The opening number, ‘Black Country’ begins with a thunderous bassline, coupled with Bonham’s cymbals, before the band crash headlong into a galloping mess, over which Glenn Hughes delivers what he likely thinks is a emotionally charged vocal. In his attempt to be a nach for the juggernaut of sound, his voice becomes no more than painful rock shouting. The sad thing is, Hughes can sing and is often capable of blues and soul influenced performances which really hit the spot. Here, though, there’s no evidence of that at all. Joe Bonamassa’s guitar solo is the track’s high point, but even then, it’s all about speed and there’s no real emotion in his playing. Still, at least it keeps Glenn quiet for a few bars. Despite being constructed around a choppy riff which sounds as if Bonamassa played it wearing mittens, ‘One Last Soul’ gains slightly more credibility due to an Eastern tinged mid-section, a semi-respectable vocal and a solid drum performance. But, although it’s an improvement over the opening track, it still doesn’t resemble anything which deserves repeated listening – and it certainly doesn’t sound like the work of four talented, highly respected musicians. Bonamassa hits a couple of vibrato edged notes during the intro of ‘The Great Divide’, before a crunchy riff takes over. The song’s verses have a slightly soulful feel and, thankfully, Hughes’s voice here is much more akin to what I’ve come to expect from a man who earned his nickname “The Voice of Rock”. However, by the time a heavier chorus takes hold, he’s wandered back across the line into tuneless warbling. Jason Bonham’s drums are far too loud (as they are throughout about half of this disc – but hey, he’s his father’s son) and the whole thing feels like wading through treacle. Underneath the barrage of sound, Derek Sherinian can be heard laying down some old-school Hammond organ, but with so much else going on, you’ll wonder why he bothered. With the worst part of the album left safely behind, there’s an improvement from here on. BCC stop attempting to grab your attention with uninspired – and in Glenn Hughes’s case, unflattering – hard rock performances and go for a musical style rather more suited to their talents. Taking its cue from Deep Purple’s 1974 classic ‘Sail Away’, a simple riff provides the foundations for ‘Down Again’ and, here, there’s plenty of chemistry here between the musicians. With Bonham’s drums acting as the dominant force and Bonamassa putting his great riff to equally great use, Glenn doesn’t feel the need to squeal anywhere near as much (although he’s not quite guilt free, as he overstretches his voice a tad towards the end). A closing section allows Bonzo Jr a little time for some effective drum and cymbal interplay and Bonamassa tinkers with his guitar in an atmospheric way. ‘Beggarman’ also captures the band playing to their blues-rock strengths, with Bonamassa’s adopted guitar style showing a heavy influence from Jimi Hendrix and one-time Black Crowes/Cry of Love man Audley Freed. One of two numbers with Bonamassa taking the lead vocal, ‘Song of Yesterday’ could have been recorded by Free, circa their 1971 album ‘Highway’ – although the end result is slightly heavier. Bonamassa’s vocal has more than a touch of Paul Rodgers, particularly on the softer notes – and compared to Hughes’s overblown style, he’s certainly my preferred vocalist in BCC. With that emotive vocal coupled with a clean guitar tone (plus a fantastic solo), then held together with solid bass playing, surprisingly restrained drum work and some string sounds, this is definitely the album’s high point. ‘The Revolution In Me’ has an arrangement which sounds like a cross between Rainbow’s ‘Sixteenth Century Greensleeves’ and Uriah Heep’s ‘Gypsy’, so there’s no denying it’s punchy enough. However, there’s not much of a song behind that riffing and bombast, and while Sherinian’s occasional Hammond organ fills have a classic feel, the track really drags. ‘Sista Jane’ has a strong opening with a riff which sounds like AC/DC’s ‘Sin City’, before settling into a classic rock styled romp. During a dual vocal, Hughes continues his tendency for over-singing, which overshadows Bonamassa’s infinitely superior voice. An attempt at a chorus gives the number a half-decent hook, but it’s most striking element is Bonham’s drum interlude – starting quietly, then building until Bonamassa chimes in with a couple of power chords. There’s a definite nod to Keith Moon and The Who here. Taking a blues-rock riff and twisting it into something funkier, ‘Stand (at the Burning Tree)’ features one of the album’s more interesting arrangements. Glenn Hughes’s vocal is one of his best ones as far as this release is concerned (though as expected, that’s only true of the softer bits) and it’s great to hear Derek Sherinian get a featured solo, since most of his other contributions are limited to slabs of organ which don’t often make a great impact. The opening numbers give the impression that this album is one of 2010’s worst releases. It’s certainly not the best work from any of the musicians involved. Luckily, a few of the bluesier tracks help save face – just make sure you start listening from track 4. 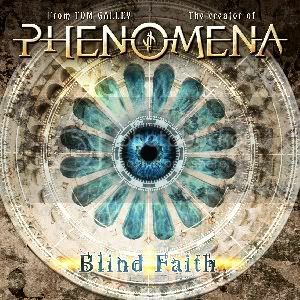 The melodic rock fans among you who are over a certain age will no doubt remember Tom Galley’s Phenomena project. Phenomena featured a host of stars, creating impressive line-ups across three releases between 1984 and 1993. If I’m honest, I found the musicians involved more interesting than the songs actually featured on those albums, but even so, it’s hard not to be impressed by the idea behind it all. While many of the Phenomena cast featured no introduction (Glenn Hughes, Cozy Powell and Mel Galley being heavily featured; even Queen’s Brian May found time to contribute), the project also gave increased exposure to a few lesser known performers, including Max Bacon (mostly associated with his appearance as vocalist on the Steve Hackett/Steve Howe vehicle GTR) and Keith Murrell of Airrace (a band still best known for featuring Jason Bonham on drums). In 2006, some thirteen years after that third instalment, Tom Galley revived the Phenomena project. The resulting album, ‘Psychofantasy’, featured contributions from Glenn Hughes and Keith Murrell once again, alongside Tony Martin, best known for his stint as Black Sabbath’s frontman between 1987-1995. As with the first three Phenomena releases, Tom’s brother Mel Galley was one of the featured guitarists on all tracks, providing the Phenomena project with continuity, despite the long gap between releases. Four years on and with a lyrical theme of good against evil, ‘Blind Faith’ is the fifth instalment in the Phenomena story. It is the first Phenomena release not to feature Tom Galley’s brother Mel, who sadly died in 2008, although his presence is still here in the form of two co-written numbers. ‘The Sky Is Falling’ begins the musical journey with a heavy yet melodic offering, pairing Riot/Masterplan vocalist Mike DeMeo with Vindictiv/Firecracker guitarist Stefan Lindholm. To many, being the second man to fill the position of Masterplan vocalist, DeMeo is “that guy who isn’t Jorn Lande”, but to his credit, he has a great voice. A quiet intro leads into a classic rock arrangement with slow pounding drums. DeMeo’s slightly raspy delivery sits well against the backing vocals on the chorus, while his big vocal style is well suited to the piece as a whole. Interestingly, for all of its huge rock leanings, there isn’t a featured guitar solo, leaving Stefan Lindstrom with a rather lesser role. You’d think since the title track features the vocalist and guitarist from Saga, the performance would have ended up with a bit of a proggy slant, but Tom Galley’s song-writing style is so deeply rooted in an old classic rock vein, there’s nothing really prog happening here. However, a Celtic jig creeping in between vocal sections adds an element of surprise. Rob Moratti’s vocal is effortless while Ian Crichton’s guitar work adopts a slighty dirty tone, heavy on the bottom-end, occasionally reminiscent of some of his work on ‘Ghettos By Design’ (Crichton’s largely ignored solo release from 1997). His featured guitar solo, although short, features his typical flashiness. Moratti makes a second vocal appearance on the huge ballad ‘House of Love’. Here, his delivery is horribly squealy and, if I’m completely honest, slightly painful, as he over-sings most of his lines to the extreme. Luckily, FM guitarist Jim Kirkpatrick and Salute guitarist Martin Kronlund are on hand with a decent set of guitar chops – the solo in particular is more than commendable, although never resorts to showiness. ‘Fighting’ is also noticeably weak. Its hammering riff at first gives the impression it might be exciting. With a strong old-influence somewhere between Saxon’s debut, very early 80s Gillan and a dash of Scorpions (albeit heavier than all of those), it has more than enough presence, but it’s repetitive nature makes the track feel overlong and the chorus is far too simplistic. In the hands of a classic vocalist it might just scrape by as decent filler, but sadly the heavily accented vocal of Primal Fear’s Ralf Scheepers just weighs the track down further. ‘Liar’ opens with a slab of keyboards which set the tone for a track featuring Stefan Lindstrom’s bombastic guitar stylings (marking his second performance here). Ex-Black Sabbath vocalist Tony Martin’s vocals are equally bombastic in places, though it’s likely his performance will be overshadowed by some of the other vocalists here. He deserved a chorus better than “Liar!” (repeat as often as necessary), but despite this, Tony makes the best of his number with a strong performance during the verses. Contender for best track, ‘It’s Over (I Was Gonna Tell You Tonight)’ is a fantastic fist-in-the-air piece of AOR with Robin Beck (still best known in the UK for her number one hit ‘First Time’) at the helm. This is an equal match for most of the material from her classic ‘Trouble Or Nothin’ album from ’89 and her slightly husky vocal is a perfect match for Jim Kilparick and Martin Kronlund’s guitar work – in places clean and ringing in tone, in others hard and choppy (although the sleeve notes don’t give any specific details regarding the two differing styles, I’m almost certain that Kronlund is responsible for the edgier stuff, leaving Kilpatric to the clean, more refined playing). This gem is a four minute reminder of why you still like melodic rock and probably have done since the eighties…and in some cases, long before. ‘Angels Don’t Cry’ is much heavier. After a brief atmospheric intro, a chunky riff provides the base for Mikael Erlandsson (Salute/Last Autumn’s Dream) to deliver some horrible lyrics about child abuse. After a couple of minutes of the sledgehammer riffing and Erlandsson’s Euro-styled metal vocal, you’ll wish Robin Beck had been allowed more time in the spotlight! It’s not all bad, though, since a well-arranged backing vocal provides a lighter touch on the chorus – such a pity that chorus is another of Tom Galley and Tom Brown’s (almost) one-liners. ‘If You Love Her’ begins with a slow and brooding riff manages to be both heavy and melodic. Guitarist Tommy Denander’s work here is simple and direct and Chris Ousey (of Heartland and Virginia Wolf fame) is in fine voice. His strong lead provides this number with a key feature as his powerful lead vocals act as call-and-response with a simple harmony vocal. Tommy Denander gives Ousey a far heavier base to work from compared with the vocalist’s previous work, but Ousey more than steps up to the challenge here. Aside from a few tracks from early albums ‘Indiscreet’ and ‘Tough It Out’, I’ve never been a great lover of Brit-AOR band FM. However, their vocalist Steve Overland takes lead on ‘Don’t Ever Give Your Heart Away’ – and it’s a track which is good enough to stand alongside Robin Beck’s performance. This is largely because I’m fond of very traditional sounding melodic rock and – like the Robin Beck number – this features none of the Euro-bombast which has a great presence on this disc. Also more traditional, Terry Brock’s performance is another winner. It may not have Mike Slamer’s golden touch, but ‘One More Chance’ could sit alongside some of the material on his ‘Diamond Blue’ solo album. With a musical arrangement which is faster than mid-pace, though never reaches the heights of pure rocker, Terry turns in a great vocal on a number which boasts one of this album’s strongest choruses. Steve Newman is this tracks featured guitarist and here, he offers great support in a classic, clean-toned style. Given my indifference to Phenomena’s original three releases, I didn’t approach ‘Blind Faith’ with too much excitement. You know how it is with supergroups and all-star projects, they rarely live up to expectations. As for ‘Blind Faith’ – it could have been better, for sure, but the good bits far outweigh the bad. it’s worth checking out for Robin Beck alone. …But factor in the other decent vocal performances from Terry Brock, Chris Ousey and Steve Overland and it definitely becomes worth forty minutes of your listening time, despite two or three really bad moments. It’s just a great shame that Mel Galley isn’t around to hear the completed picture.